Retro Cell Phone Handset Add to Flipboard Magazine. 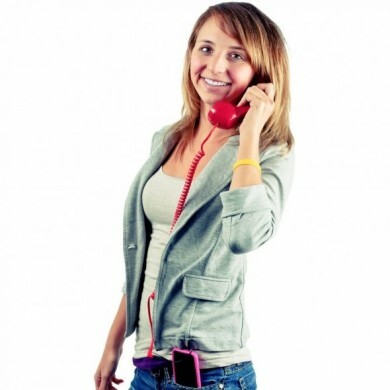 Have you seen these retro cell phone handsets??? 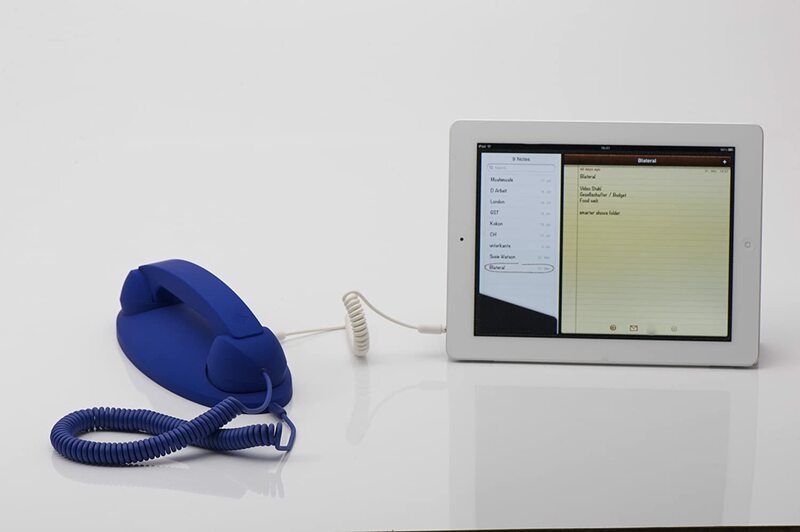 You think they look funny now, but you are going to love the new retro phone handset. The new iPhone Retro Handset has really caught on in popularity. I see it all over town. I seen celebrities using them as well. It’s because they have figured out that they actually help you hear better and they free up your hands to do something else. Remember how we used to cradle the old style phone between our ear and shoulder? How easy is that to do today with the new cell phones? Not easy at all. I drop it in a matter of seconds. Well, hook your cell phone up to one of these retro cell phone handsets and it is like being back in the old days. I saw this new Retro Handset in a magazine and had to laugh when I saw it. Then Marvin saw one in the sale bin at the office store and brought one home, I laughed at it, but what a great idea. He loved it right away. I had to wait a month or so before I actually got to use it with my phone. You can talk on it and be charging it at the same time. What a great addition to my office. Now I know the next question is – Where can I find a retro style phone receiver for my smartphone? Right here! You will find many to choose from here. 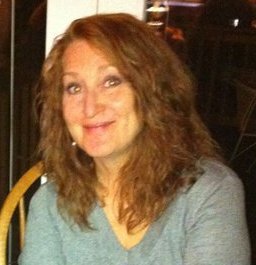 Don’t be afraid of being made fun of….who cares what others think. Just go for it. 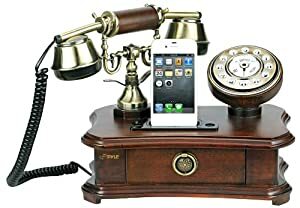 Check this out and then get your own iPhone Retro Handset. This comes in so many colors, you will have to click through to check them all out. 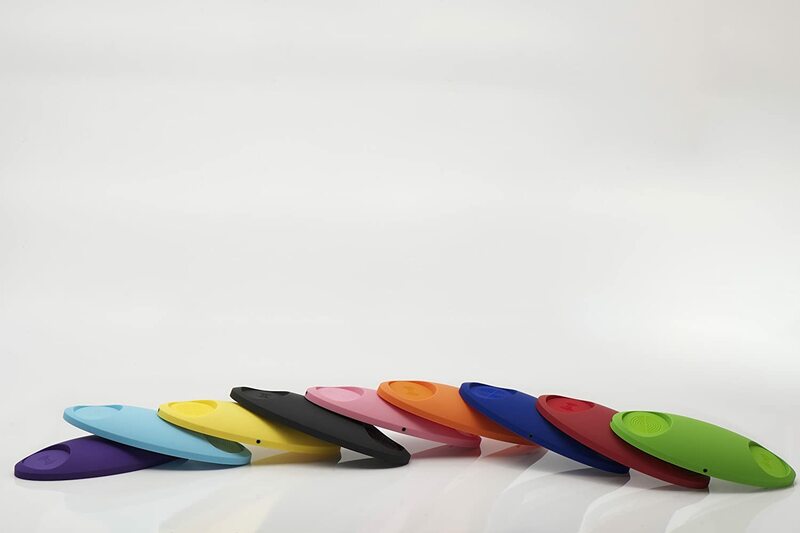 Not just different colors, but designs as well. 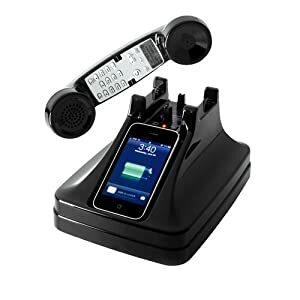 A simple base to lay your Retro iPhone Handset on – it is not required, but nice to have. If you didn’t find the perfect handset for you, click here to look at hundreds more.